The Competent Persons Scheme is an umbrella word that is used in the Plumbing, Electrical and Gas industries to describe a membership trade body. These Competent Persons Schemes vary depending upon the sector. Competent Person schemes are a useful accolade to have when you have completed training as their logos can be used in advertising material, on vans or for your website. Over the course of the next few weeks we will look at the different Schemes that you can join and how they can benefit your career as a tradesman. The Competent Persons Scheme was introduced as part of an initiative by the then Department of the Environment, Transport and Regions in the late 1990’s to reduce the “administrative burden” of the Building Regulations. The solution was proposed by allowing tradesman to self-certify their own work without having to notify local planning councils and having work checked by the Health and Safety Executive. They therefore set up the Competent Persons Scheme initiative to allow industry bodies to monitor its members so that they uphold standards and safety requirements. As a member of a relevant Competent Persons Scheme you will be able to self certify your own work, saving costs for both you and the customer as you will not have to notify local planning authorities or get it checked. Work will also be completed faster as you will not have to wait for authorisation from the same authorities. Competent Persons Schemes also carry the “badge of approval” adding an extra level of trust between you and your customers as they know you belong to a licensed scheme that upholds high standards of craftsmanship. Who operates the Competent Persons Schemes? Many Competent Persons Schemes are optional memberships meaning you do not have to join them (but as has been identified it will benefit you and your customers in the long run). The one exception to this rule is the “Gas Safe Register” which any person wanting to work within the gas industry must be a member of by law. All of which we look at in more depth throughout the series. 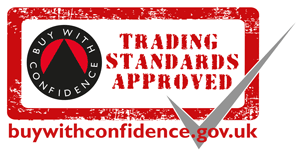 For a full list of trade bodies offering a Competent Persons Scheme visit the Communities and Local Government website here.